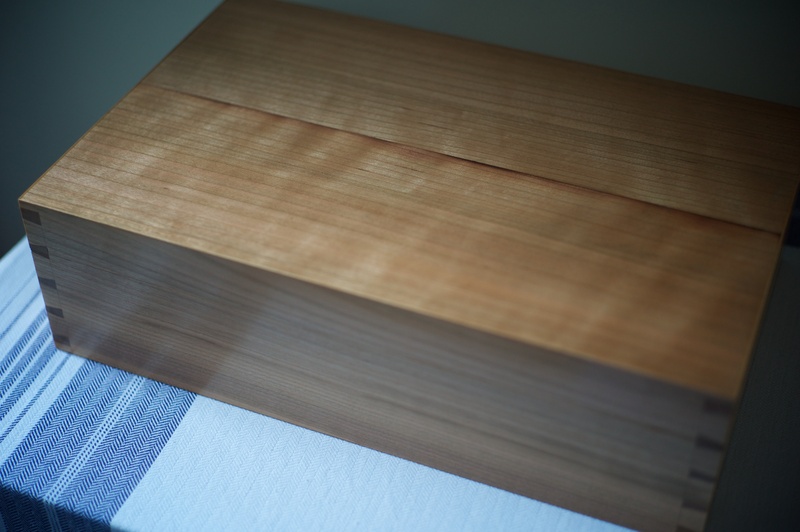 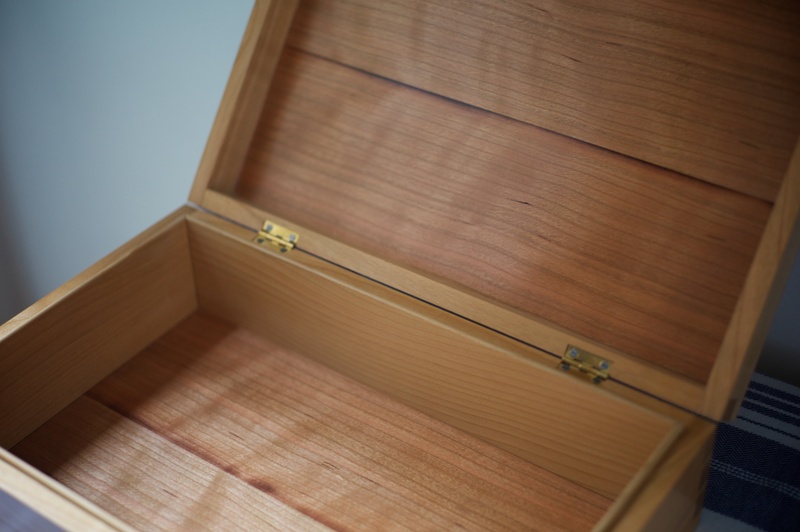 Here are some images of a side project I have been work at for the last couple of weeks - a box in English Cherry with a cedar lining. 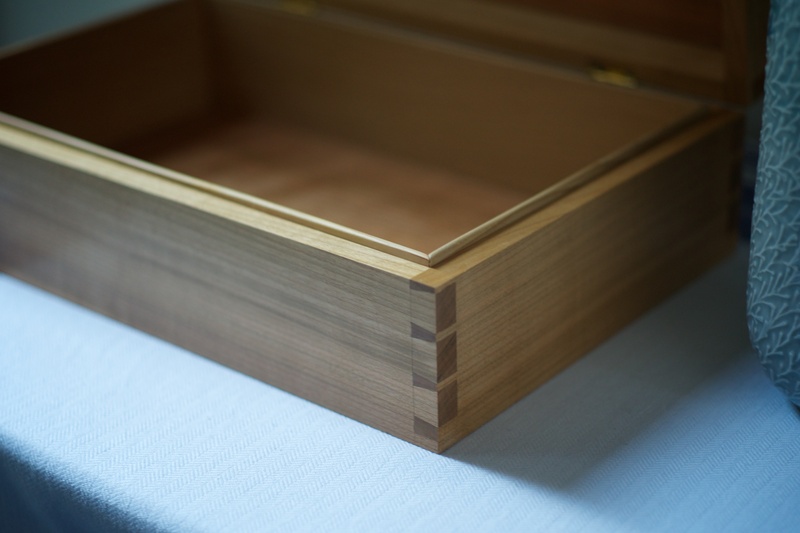 Finished with a light coat of Shellac it has a wonderful soft sheen that will get deeper and more lustrous with age. 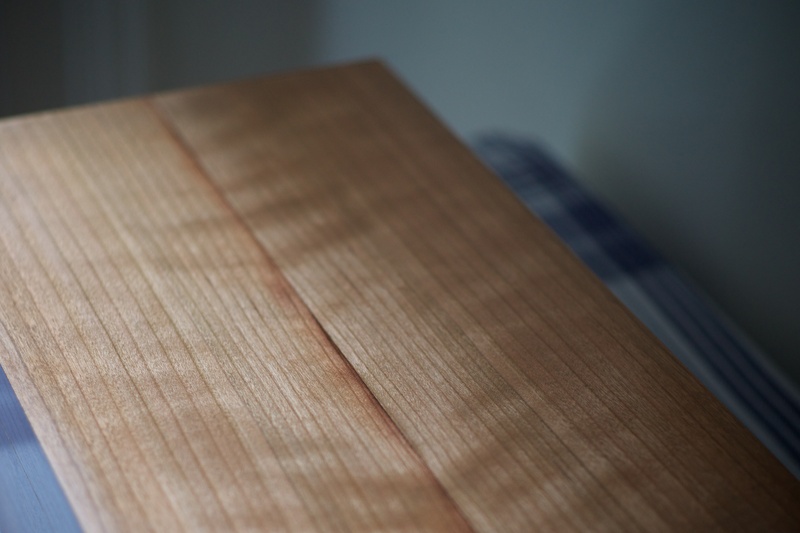 The cherry was lying around the workshop and in quite a state, it was significantly warped and had a many splits running the length of the board, it feels wonderful to take this naturally contorted board and through hand tool work shape it into a fine box.